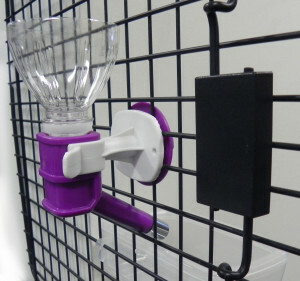 Plastic Nozzle with metal roller ball easily hooks on wire grate of dog crate/kennel doors. Some airline are now requiring water bottle dispensers for overseas flights. Please check with your airline. Easy to pack and bring along, no need to pack bottle. 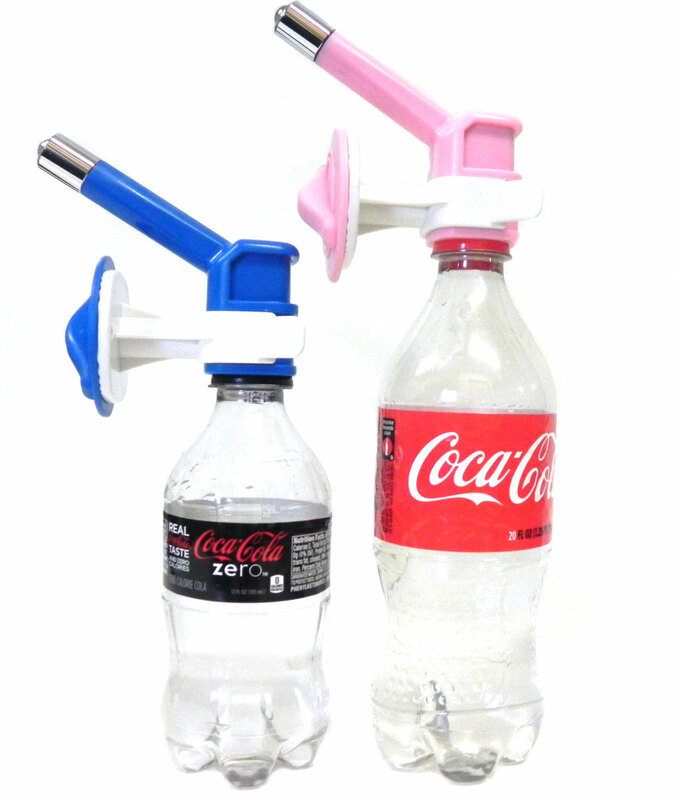 These nozzles will fit onto any SODA POP size bottle and many thick plastic water bottles. (will not fit thin plastic water bottles the bottles opening are too small) Super Easy to attach to airline kennel door with large bolt and then if airline requires water bottle easily screw the water bottle on and you will be good to go. I love these. Absolutely brilliant design with no dripping! My husband is military, and our next move with the pets will be overseas. I'm looking forward to DRY cats when we arrive! My only complaint is that I have Petmate Vari Kennels and the measurements are just a hair off. I have to bend the bars to get the nozzle snugged in securely. Great quality & well made. Great product, easy to instal, no water dripping. Just be aware that not all water bottles fit, thats the only reason I gave 4 stars. Fiji bottle worked very well. I have it for emergencies when traveling with my cat in cabin. Also have one at home. Only took a day for him to get use to it. A little baby food on tip a few times did the trick. Best is the ease of height adjustability compared to other waterbottles. This can be placed wherever you want.